This is a contribution from Melanie of Grace and Co Styling. Create an Aussie Christmas table with Mel’s creative May Gibbs inspired Australian Christmas table decorations. An “Aussie Christmas” isn’t just beer and barbecues. Contemporary Australian Christmas inspiration can be about drawing on our country’s own natural beauty to create something simple and elegant. Like May Gibbs, our designer has drawn on nature to create a little magic. Ditch the tacky plastic and craft some elegant Christmas table decorations. With a few easy ideas, you can create show stopping Christmas table decorations, for a truly modern “Aussie Christmas”. Gumnuts make the perfect addition to your Australian Christmas design because they’re perfectly shaped as little Christmas bells. Simply choose your colour scheme and spray paint gumnuts (large or small), or opt for a gloss spray to highlight their natural colours. This will be the easiest Christmas craft project you’ve ever done and one the kids will love to help with. Once you’ve created your gumnut design, it’s time to create your own modern Aussie Christmas. Fresh native foliage. 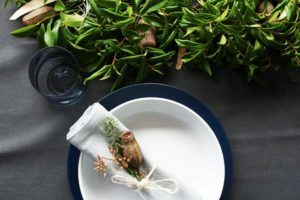 We opted for fuller, bushier leaves (from a Moreton Bay Fig Tree) to make a large Christmas table centrepiece but for a more minimalist design, think narrower, straight foliage or smaller clustered leaves. Bark Pieces. Your local park or native forest will have a whole manner of fallen bark pieces. 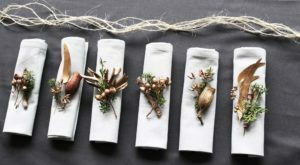 Consider your Christmas table centrepiece design and get the kids out hunting for bark to match. The bark piece should be long, clean and relatively strong. Fresh Herbs. There’s nothing like the smell of fresh herbs to create a merry atmosphere. 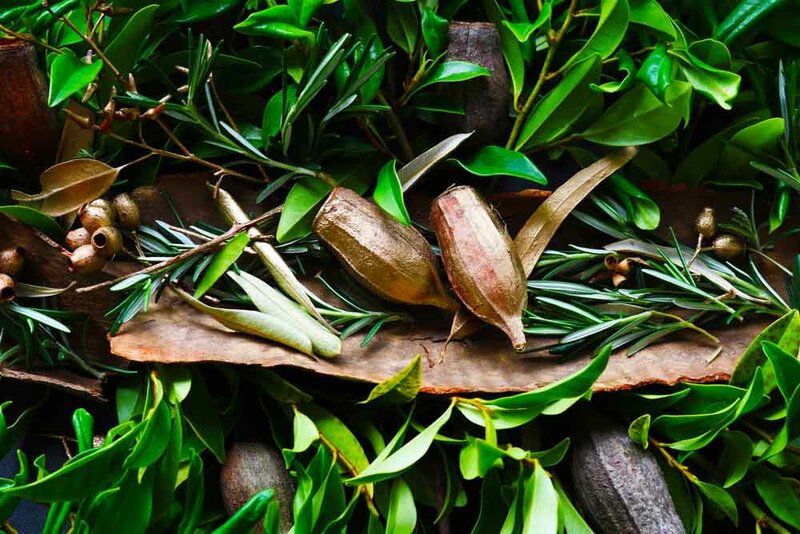 Fresh rosemary, dried cinnamon, star anise or other “woody” herbs not only look festive but are a sensory pleasure! Now it’s up to you to bring forth your inner florist and create a beautiful Christmas table centrepiece inspired by nature herself. Creating a few special touches makes your Australian inspired Christmas table so unique and personal for your family and friends. It’s also an opportunity to get kids involved in the planning of the big day. It’s time to unleash their creative Christmas spirit! Native Australian foliage. Take the kids scouting for interesting looking bits and pieces in your local park or native bushland. 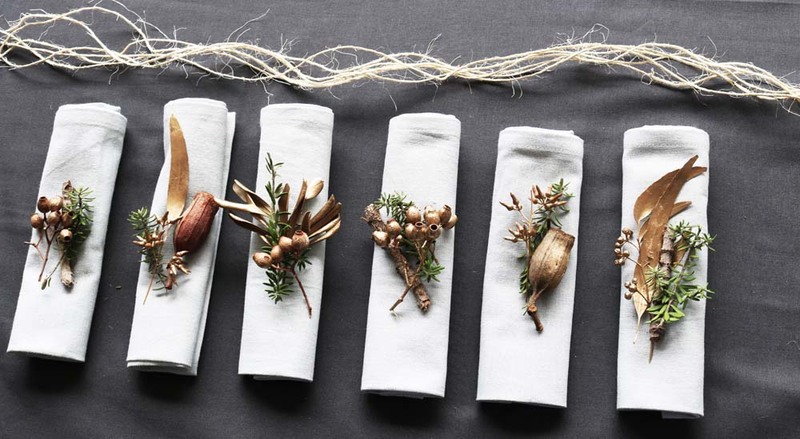 Collect twigs, leaves and of course, gumnuts that will compliment your Australian Christmas decorating plan. Raffia or other “string” for tying. There is nothing simpler than making a little “native flower arrangement” for each of your guest’s napkins. Simply create a little “bunch” for each guest and then tie a bow around the whole napkin. It’s the quickest way to make a big impact! Creating a nature inspired Australian Christmas is a wonderful way to avoid the “plastic” feel of the modern Aussie Christmas. 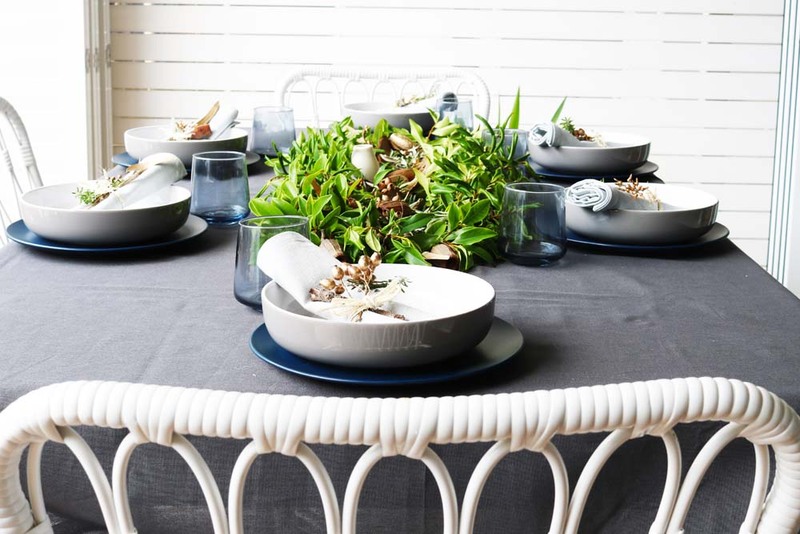 Get the kids involved and create Christmas table decorations befitting your contemporary Australian Christmas. 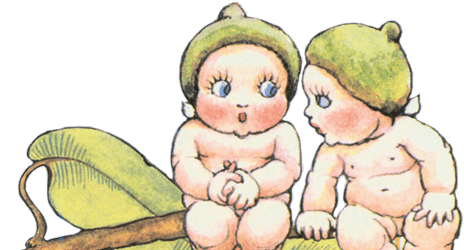 « Australian Gift Ideas – Put A Gumnut Baby Under Your Tree!